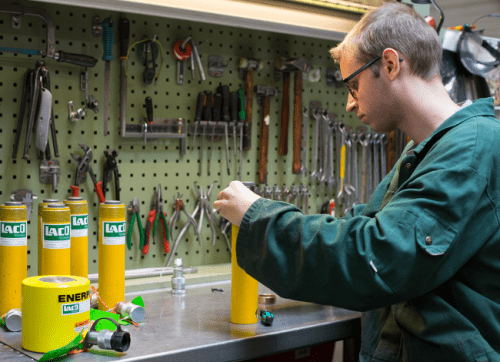 Laco is an expert in maintenance and repair of hydraulic tools. Having your tools serviced or repaired in time can result in serious cost reductions and can significantly extend your tools’ lifespan. In our modern service and repair center, we have all the necessary equipment to maintain and repair your hydraulic devices. A team of qualified and skilled service technicians does everything to make sure your hydraulic tools work optimally after maintenance or repair. All work is carried out in close coordination with you, the customer, so that you have a clear idea of the time and costs. 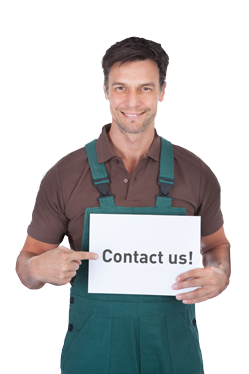 We carry out repair and maintenance work for all types of hydraulic tools. Naturally, we have a lot of experience working with the tools we sell and rent out ourselves, including hydraulic cylinders, pumps, nut splitters, punches, wedges, cutters, pipe benders, tractors, turnbuckles, shears and flange spreaders. Besides that, we can also inspect, maintain or repair separate components of your hydraulic gear. To give you an idea, we repair and maintain valves. When it comes to reparations of hydraulic tools, we often have to make adjustments to the materials. Regularly occurring work includes improvement of plunger shafts, conductors and the overall functioning of the machines. Cylinders are maintained, repaired and tested according to the manufacturer’s specifications. We have qualified test equipment to measure, among other things, pump pressure and static screw jack pressure.